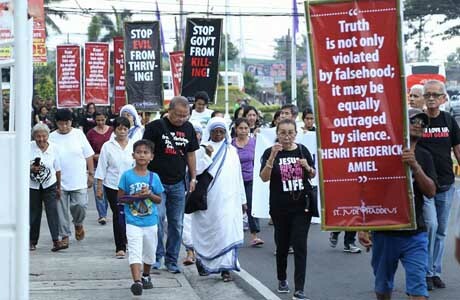 NAGA CITY 4/8/17 (Bicol Standard)--Bicolano Catholics from twelve parishes and three major religious organizations from the Archdiocese of Caceres joined the Penitential Walk for Life towards the Penafrancia Basilica earlier today in this city. 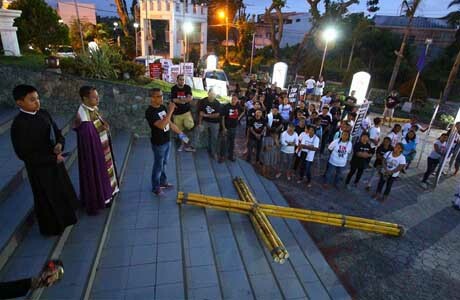 During the walk, members of the youth, drug surrenderers, and police officers took turns carrying a 12-foot bamboo cross, which symbolized "the moral conviction against the evils of the pervading culture of death." 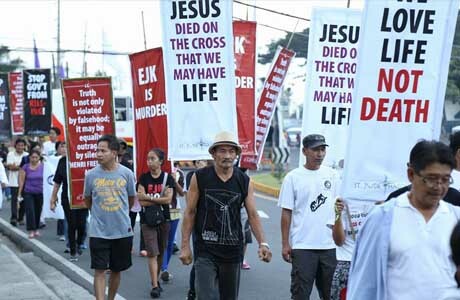 Many of the participants came clad in statement shirts bearing pro-life messages, while some carried streamers and posters with the words such as "Jesus died on the cross so that we may have life," and "Stop evil from thriving." After the walk, a mass was led by Archbishop of Caceres Rolando Joven Tria Tirona, OCD, DD, who said: "We are not walking because there are issues. We are walking because it is the call of God. We journey with our humankind, with our neighbors, with our brothers and sisters. Ang ginigibo ta bako para sa satuyang sadiri kundi para sa banwaan." 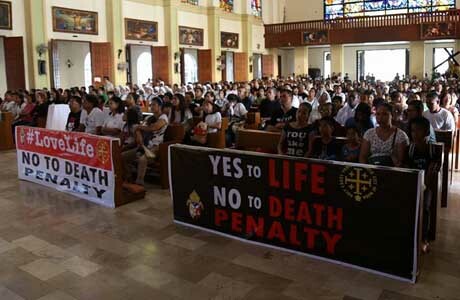 "An pagbali sa Penitential Walk sarong pagpatunay na kita nagtutubod na an buhay sagrado asin pagpahiling na satong isinisikwal an EJK asin death penalty bilang mga solusyon sa problema kan droga," the Archdiocese said in an earlier press release.